Paranormal ghost hunter and television show creator Zak Bagans is a man who is on almost a never-ending quest to search for the truth. This quest is popularized by his own television show, Ghost Adventures. 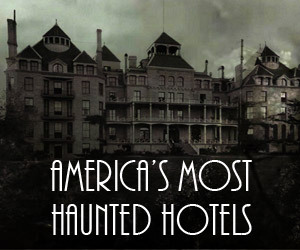 In creating the show, he hoped to find answers to questions and has said of his paranormal missions, “There are things in this world that we will never fully understand. We want answers. We have worked years to build our credibility; our reputation. 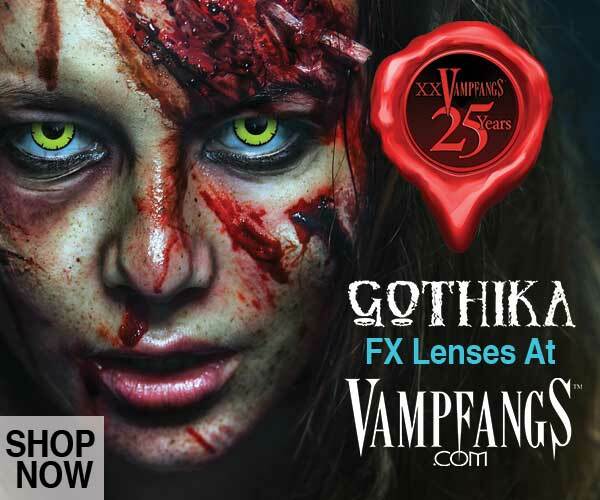 Working alongside the most renowned professionals in the field; capturing ground-breaking proof of the paranormal. This is our evidence”. 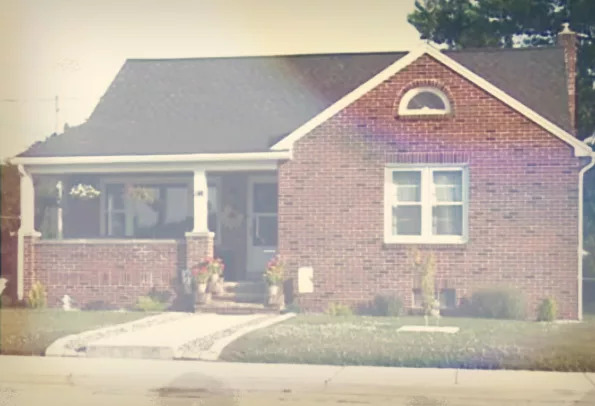 Having such a firm grasp on the pulse of the supernatural, it came as no surprise that when Bagans learned of the Ammons House haunting and exorcism of Gary, Indiana, he wanted to step up and investigate how genuine and terrifying it was. Taking his mission to new heights, he did something that was a paranormal first for him. He bought the actual Ammons House himself and chronicled it in a disturbing paranormal documentary, Demon House. What happens in the Demon House? Latoya Ammons, along with her mother and three children, were horribly tormented by demons living in the new home in 2012. After months of battling the demons, as well as the authorities, the family ended up fleeing the home sometime in late 2013. This wasn’t before contacting local Catholic priest, Fr. Michael Maginot, who performed a spate of exorcisms. While the exorcisms were proven effective, Latoya has refused to acknowledge or speak about what has gone on out of genuine fear of the demons in the house following her and her family. 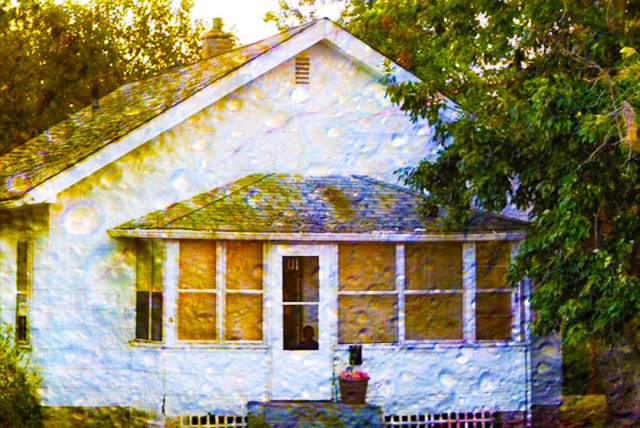 Upon hearing this, Bagans purchased the house over the phone with a realtor in Gary, and a week later stepped foot on the premises for the first time ever with his crew. Minutes into his tour of the home, Bagans was contacted by a psychic medium he knew over the phone who warns of a twelve-foot tall demon guardian that resides in the house and tells him to stay far away and leave. Bagans remains committed and refused to leave. To get more perspective on what truly happened in the house, Bagans does his best to pursue the whereabouts of Latoya and her family to interview them and inform them that he purchased the house. Learning of a family apartment that Latoya resides in, he pursued the lead to discover she refuses to meet or speak with him about the house out of further fear that the demons there will terrorize them. Latoya’s brother Kevin does, however, agree to speak with Bagans and tells him that children seemed to receive the brunt of the demon’s anger while in the house. Bizarre ritualistic chanting, growling, and domestic violence was rampant. After meeting with Bagans informally, Latoya kicked her own brother out of her new apartment over fears that after meeting with Bagans, the demons will find them and once again invade their lives. With more and more individuals refusing to speak with him, Bagans resorted to accessing police footage of the home after the Ammons initially fled. He sought out a local police detective who had been in the home previously and agreed to go on camera with Bagans. 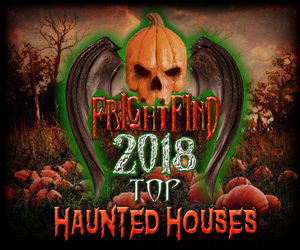 He alerts Bagans to an un-searched area of the home, under the basement steps to discover a patch of dirt flooring amidst a mostly concreted room. Further discovery finds half melted and used candles that were likely associated with demonic rituals of some kind. 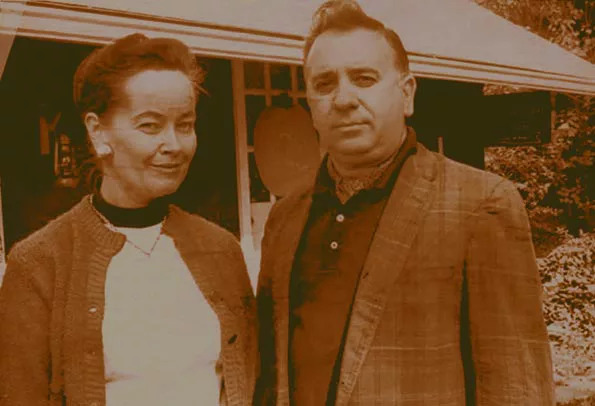 Short on more people willing to talk, as an instance of pure coincidence, a woman pulls up in a car by Bagans and tells him she was a former renter of the home before the Ammons family. Bagans agrees to give the woman and her three teens a tour of the home to get a deeper perspective. Giving her name as “Mica” she tells of strange noises and a sense of dread while living there. She flat out refuses on camera to go down into the basement stating her brother used to live there with her and his room was in the basement and she had constant nightmares of his death. Mica’s brother was shot and killed only months later after having the dreams. Midway through the documentary, Bagans is able to locate DCS Investigator Valerie Washington who personally witnessed the demonic possession of the children. This included one of them walking backward up a hospital wall unassisted to a height of over twenty feet, before flipping straight off the ceiling. She refuses to go near the house or meet Zak in person but agrees to a Skype session in which she informs him she no longer is in the area and had to leave due to the psychological trauma that she suffered and still has to receive therapeutic counseling for. Things soon began to unravel for Bagans in his documentary. A crew member quits midway after being unable to handle the situation anymore. To quell any skeptics, Bagans arranges for Dr. Barry Taff to check the geothermal activity around the house to prove there is nothing scientifically causing any hallucinations or unexplained activity in the house. Using magnetic readings Dr. Taff discovers alarmingly high levels in the home. Personally evaluating Bagans own body, Dr. Taff informs him that he’s giving off a magnetic reading of eight to twelve million times that of a normal human being. Throughout the investigation, Taff experiences periods of dizziness and swaying. After his visit, he’s hospitalized into intensive care after his major internal organs all simultaneously shut down. Mica’s daughter, who visited Bagans earlier in the home attempts suicide. To help Mica and her family, Bagans arranges for them to meet with Fr. Maginot and an on-camera exorcism is performed on her to free her soul from torment. 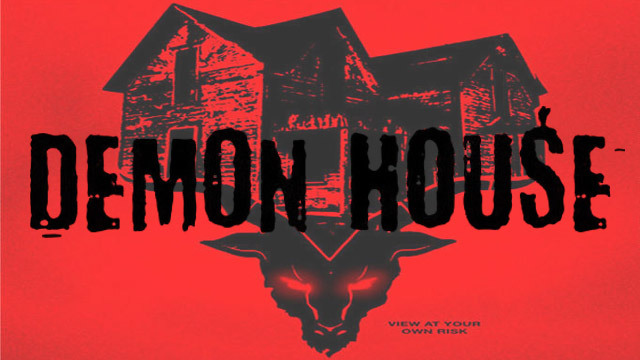 What happened to the Demon House? To get to the bottom of everything once and for all, Bagans does something not recommended by his own crew, he accelerates the situation by literally boarding himself up within the house overnight. Cameras placed in the home document his constant pacing and informal seances to manifest whatever is in the home. Odd growls and wrappings instill a paranoia in Bagans who soon witnesses a black mass coming out of the wall from his own perspective and a painful stabbing sensation behind his eye sockets. Dawn comes and Bagans rushes to a doctor to find out his eyes are crossed with double vision and he’s afflicted with a condition knows as diplopia. Surgery is ruled out as it could cause permanent blindness, and instead, Bagans is forced to wear prism glasses as he’s informed that his eye condition is indeed permanent. 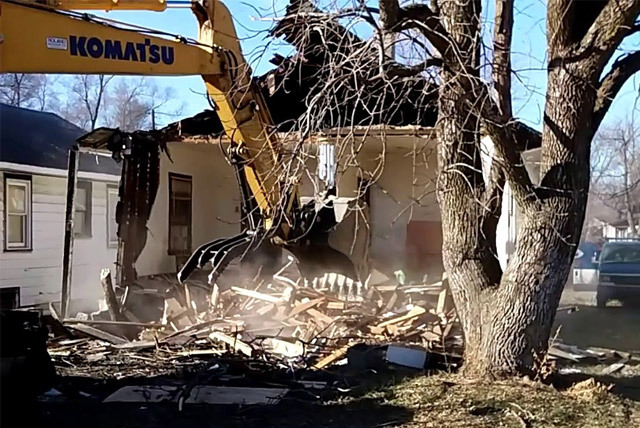 In a final battle, Bagans hires a crew that totally demolishes the home as he cites to the camera that the home is cursed and he wants nobody else to become afflicted by it. True to his love for the paranormal, Bagans keeps the basement stairs and buckets of dirt from the flooring as keepsakes to remind him just how real his mission truly was.